Deborah Hawkes is the Vice President of Process Excellence & Business Analytics at Change Healthcare, the largest healthcare technology company in the world. Prior to her role at Change, Deborah has held various leadership positions at Dell, Gatorade, and the government. Deborah also owned a Boutique Consulting firm that specialized in Continuous Improvement, Organizational Development, and Performance Effectiveness. She is a Master Black Belt with more than 15 years of experience in process improvement. Deborah speaks at various events on women’s empowerment and human/social services, taught Statistics and Economics at Bethel University, and has life coached women internationally via her Coaching Business and television show. 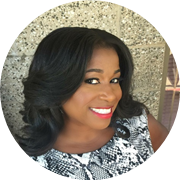 Deborah got her undergraduate degree from Purdue University, her MBA from University of Phoenix, and her Doctoral studies are in Health & Human Services from Walden University. Dedicated to the betterment and advancement of women and children, she is a both a personal and professional problem solver. 3rd year running, women in leadership masterclass has become an integral part of OPEX Week as we see more and more female leaders rise to the top and break the glass ceiling. Our prestigious female leader panellists will share their personal journeys and practical tips to inspire and help you accelerate your leadership skills. · What is your organization’s predominant leadership style(s)? What is your own? · As a leader, do you insist on collaboration and empower your people to become leaders themselves? · Do you challenge the status quo and become a conduit for sustainable success? · How do you rise to the challenges of today’s “do more with less” reality? · What can/will you personally do to become a transformational leader? Check out the incredible speaker line-up to see who will be joining Deborah.